Contrary to what you might have heard, Naples Taxis won’t necessarily “take you for a ride.” By and large they are clean, well regulated and fairly economical. Naples taxis are more expensive on Sundays and holidays and after 22:00 and there are of course supplements for dispatch fees, baggage, etc. The Naples taxi tariff system offers both meter rates and fixed tariffs. 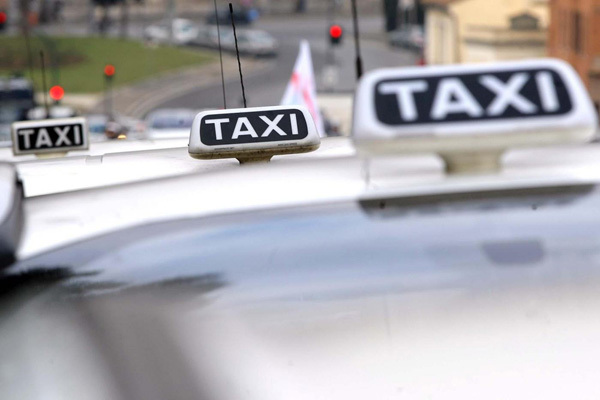 All taxis are required to display the Tariff Card (in Italian and English) on the back of the front seat of the taxi to allow the rider to choose either a metered journey or fixed tariff price. If you want a fixed tariff rate however, you must tell the driver that before proceeding. The ordinary tariff has a base amount: €3,50 for weekdays and €6,00 for holidays. To the amount displayed on the taximeter one has to add the supplements listed in the tariff. The minimum amount for weekdays is €4,50. In 2012 the Comune di Napoli launched Taxi Per Tutti to make traveling around the centre of the city by taxi even more affordable. Valid 24 hours a day, 7 days a week, DOWNLOAD Tariffe_taxi_2017. Fixed rate tariffs do not use the meter and include any extra charges (to/from airport, night ride, holiday, luggage, animals), are for the total number of passengers on board the taxi, and are valid for the whole day on weekdays and holidays. Getting a cab is not difficult either. Sometimes you can flag one down, but it’s best to get one at a Taxi Rank. There are over 100 Taxi Ranks throughout the city and you’ll find them at all major train stations, the airport, both of the Ports, Molo Beverello and Mergellina and at most major tourist attractions. You can also book a taxi by phone or online with several of Naples taxi companies and some accept credit cards.